By Invitation Only. Non-transferable. 1.0 CLE Credits Pending. WilmerHale has been accredited by the New York State and California State Continuing Legal Education Boards as a provider of continuing legal education. This program is being planned with the intention to offer CLE credit in California and non-transitional credit in New York. This program, therefore, is not approved for New York newly admitted attorneys. Attendees of this program may be able to claim England & Wales CPD for this program. Attendees requesting CLE credit must attend the entire program. Join us for a discussion of recent enforcement actions in the privacy and cyber arena, and leave with a concrete understanding of likely future regulatory developments and their impact on venture backed startups presented by Wilmer Hale and Allison Brecher, General Counsel, Vestwell. TechGC is excited to be home in New York City for our second Private Dinner and CLE in 2017. The CLE topic, Advanced Corporate Governance for VC-Backed Companies, will be presented by our friends at Fenwick & West. Join us for a festive evening of dinner, drinks and learning from your peers! 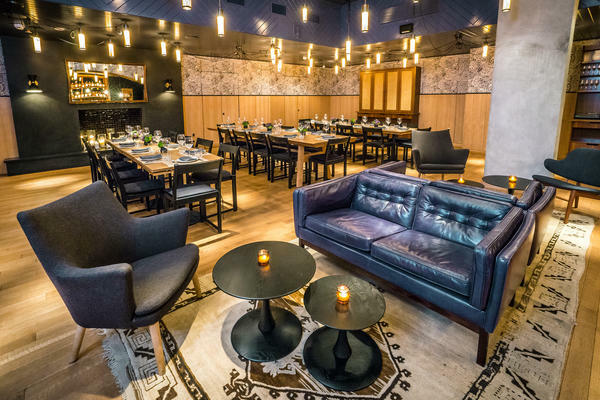 The Private Dinner will take place at Little Park, a seasonal restaurant highlighting the best ingredients from Chef and owner Andrew Carmellini’s longtime partnerships with local farmers, anglers, vintners, ranchers and foragers. Our mission is to drive innovation, education and mentorship in the legal industry while creating a strong peer group and community that supports each other for many years to come. Our membership includes over 900 GCs across New York, San Francisco and Boston and our events are supported by leading venture focused law firms.